Leptospirosis is a bacterial disease transmitted from wildlife to dogs and is most prevalent during the fall. The bacteria thrives in moist, wet, cooler environments and thus is most common from August to December. It is also a zoonotic disease, which means it can be transmitted to humans as well! Leptospirosis is a bacteria transmitted through the urine of wildlife, such a foxes, raccoons, and skunks. The bacteria lives inside their kidneys and is shed through their urine onto the grass or into puddles or bodies of water. If your dog drinks from puddles or ponds or even steps on the grass and licks their paw, he or she may pick up the bacteria. Dogs may also pick up the bacteria through a cut in their skin coming in contact with a contaminated area in the environment. The bacteria spreads throughout the body and eventually settles in the liver and kidneys. The most common clinical signs include fever, lethargy, inappetance, nausea, excessive drinking and peeing, and jaundice (yellow tint to the skin and eyes). Liver inflammation and kidney failure develop as a result of this infection. Once infected, a dog may become a carrier and may transmit the infection through their urine to other dogs or to people. 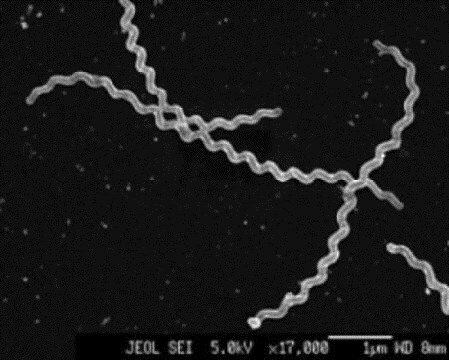 The bacteria, called leptospira, are spiral shaped and come in many different subspecies (called serovars). There are roughly ten pathologic, disease-causing, bacteria in North America. Different serovars cause different variations of the disease and are prevalent in different parts of North America. We offer a vaccine for leptospirosis which lasts one year and protects dogs against the four most common and pathological serovars. The vast majority of our canine patients receive this vaccine on an annual basis. Treatment for the disease depends on the severity of the disease. Some patients can be managed on an outpatient basis with antibiotics and liver supportive medication given at home. Some patients have to the hospitalized on intravenous fluid to support the kidneys while being treated with antibiotics and supportive medication. The prognosis varies greatly depending on the severity of the disease. If diagnosed and treated early on, many patients successfully recover. If your dog is diagnosed with this condition it is important to wear gloves and goggles when coming in contact with their urine as the bacteria can still be shed in the urine for the first week of treatment. Signs of leptospirosis in humans is similar to those in dogs. The best way to protect your dog and your family against leptospirosis is to vaccinate your dog on a yearly basis and try to prevent them from drinking from puddles and ponds this time of year!